Peace! Sweet Peace! As soon as the climb to the Japanese Gardens at Dawes Arboretum began, a feeling a serenity surrounded. 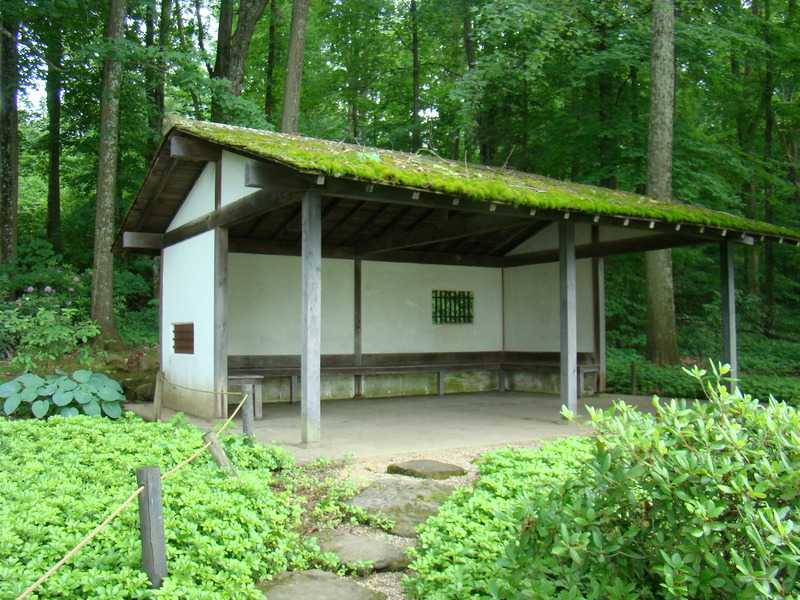 Back in 1963, Dr. Makoto Nakamura from the University of Kyoto, Japan designed this beautiful setting near Newark, Ohio. 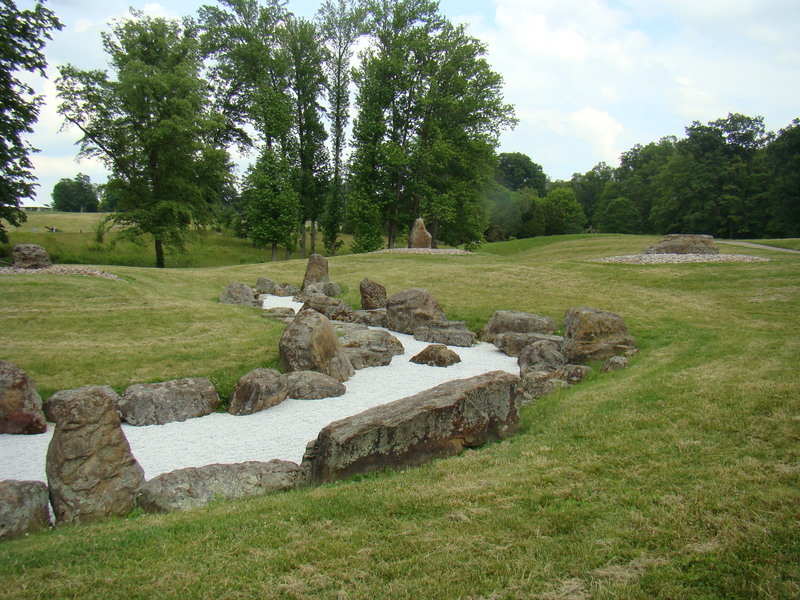 Upon entering the gardens, you first approached a large area of white sand with boulders around its side. It appeared very similar to a sandtrap on a golf course. Upon closer observation, it was a mixture of sand and small white stones, which filled the area. This is called a stone river, Karesansui, “dry landscape”, or more frequently known as a zen garden. White stone and sand in the zen garden represent water and purity. 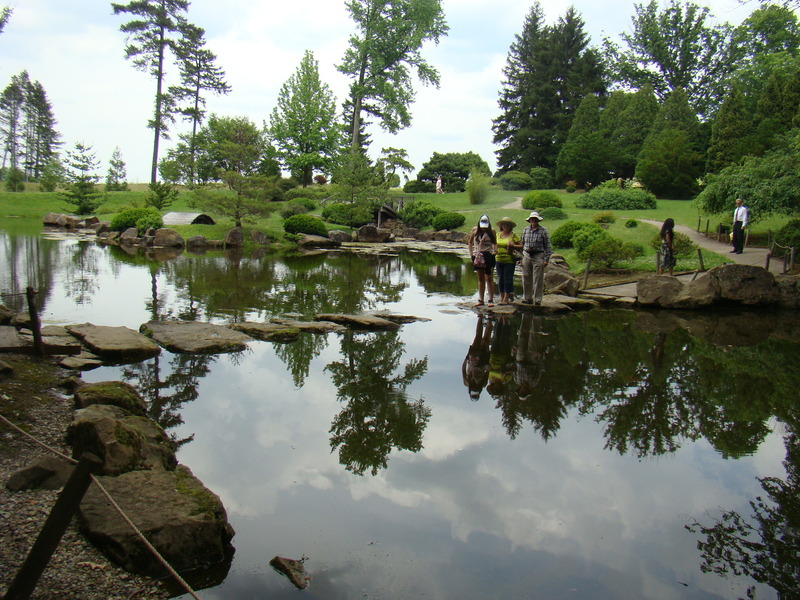 A tranquil pond was the centerpiece for this magnificent garden, which has many large rocks. Gumdrop and cherry trees added to the landscape. This peaceful path lead up the hill to a reflecting pool surrounded by plants from across the ocean. There truly is peace in beauty. To step or not to step, that is the question. The bridge lead to a path of stepping stones crossing the remainder of the pond. Guests that day seemed to be testing the water just a bit before taking a frightening step for some. All around the stepping stones and under the bridge, bright colored koi put on a show for visitors. Along the paved pathway, there were various statues and pieces of artwork. A small pagoda appeared at the edge of the woods – a place to stop and worship in the Buddhist tradition. 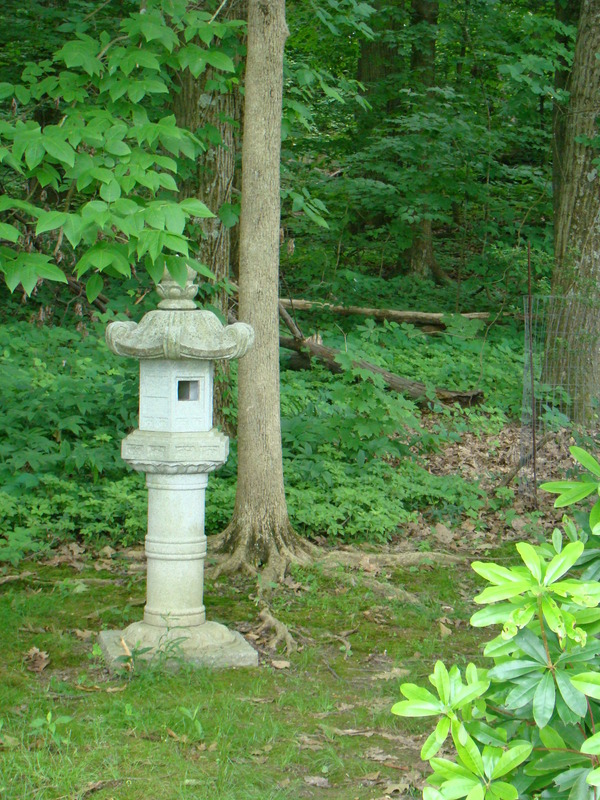 This tall pagoda lantern added a touch of tranquility along the walk. The meditation room made a relaxing place to sit and enjoy the silence, especially in the early morning or bundled up on a cold winter day. This rustic, roofed shelter protects from the elements and provides a place to sit and reflect. This serene corner of the garden casts its spell as you drift off to dreams and peaceful thoughts. Stops at this soothing and peaceful place are pleasant anytime of the year. 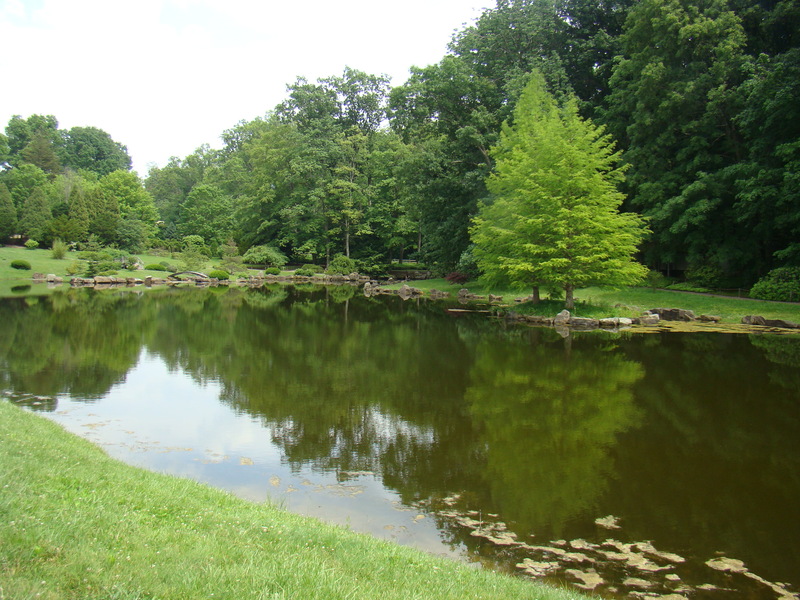 The next time you pass the sign that says Dawes Arboretum, consider stopping by for a spell. Dawes Arboretum is located near Newark, Ohio just off I-70. Take Exit 132 , Route 13 , and proceed North on Route 13 for about three miles. The entrance is located on the left hand side of the road at 7770 Jacksontown Road. Follow the signs inside to the Japanese Garden. It’s a relaxing experience.